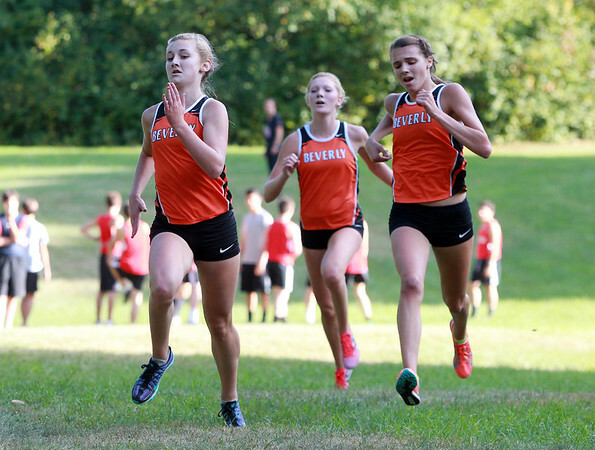 Beverly freshman Julia Curtin, left, outraces senior teammate Juliana Wesley, center, and sophomore teammate Abby Walsh, to capture a first place finish against Marblehead on Tuesday afternoon. DAVID LE/Staff photo. 9/23/14.